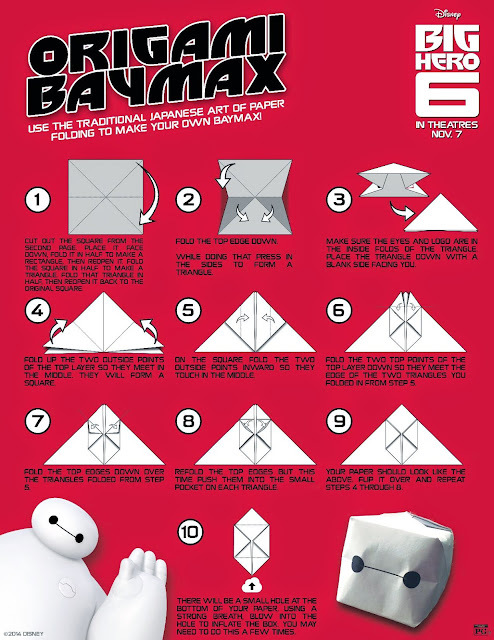 Sasaki Time: Craft Time: Origami Baymax from Big Hero 6! Make your own Origami Baymax! You can also click on the picture to make it easier to read the instrucitons!